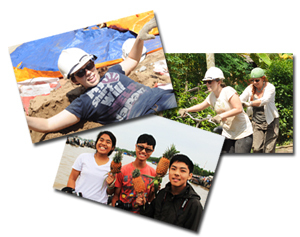 Our Student trips to Vietnam are not only for community service projects. 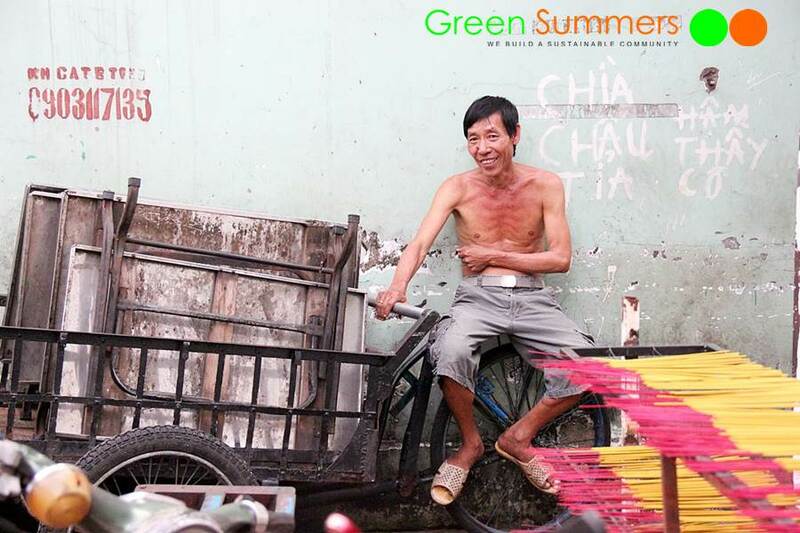 They also come for experiencing the culture, the history and the life exposure of Vietnamese people. 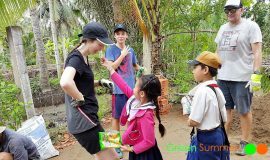 Join our Vietnam School Tours Saigon City visit. 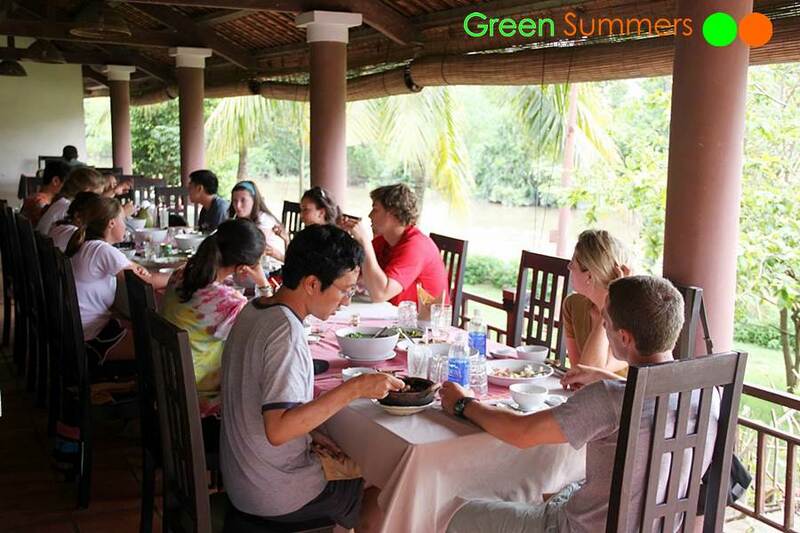 You will see why we are proud that every experience at Green Summers contains educational value to our young students. The trip of Saigon city tour lasts one day. 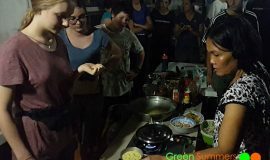 Our Vietnam School Tours Saigon City also visits the highlight of the city like Opera House, Hotel de Ville, Central Post Office, Saigon Notre Dame, Reunification Palace, some temples and markets. What is more, we make some walking to back roads of the city where the poor people live their real life. 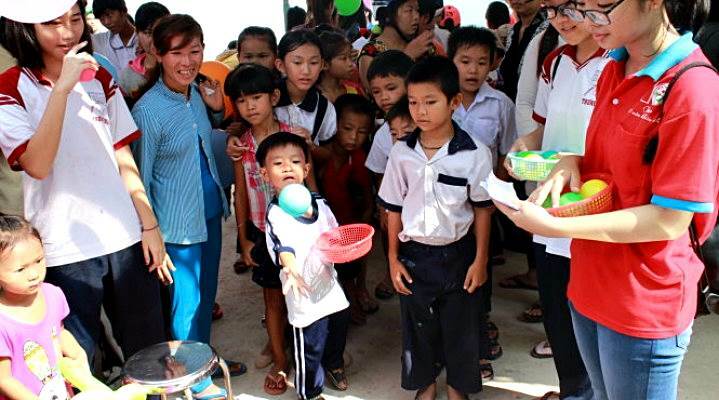 Have a look at this picture and see how students can feel how lucky they are at their life. 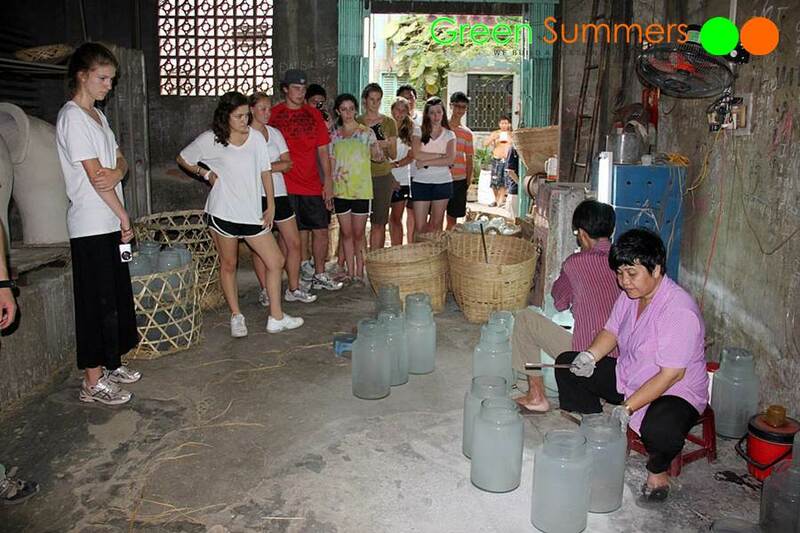 We have visited a local house where many families at a quarter do the job at a family glass factory. 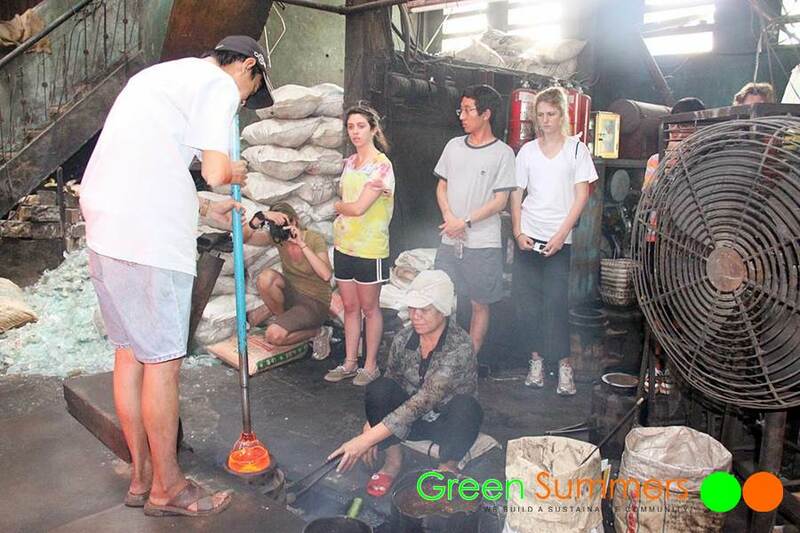 They cook the broken glass to liquid and use a long tube to blow air and make jars or vases. The heat in a tropical country plus the heat from the oven makes the factory so hot. The local people should work there around 10 hours per day in that hot and dangerous environment six days per week. However, they are still of happy faces when we arrive. The walking into the small alleys at our Vietnam School Tours Saigon City is not just a destination. We visit many houses with different interesting things to see, but transferring the same message that some places in this world people should work very hard, and that does not mean they are less happy. You can see at another house like the picture below. Some ladies are not strong enough to work in a hot room of glass factory can do other things here. We walk further 4 house blocks and visit this lady. Walking further at the alleys we also see houses making incense sticks. We also see this man of rental delivery. He is there to carry any things needed by the local here like glass, incense sticks, tables, etc. He just stay there under the heat and wait for the opportunity. What a boring job! Nevertheless, he’s still a happy man. 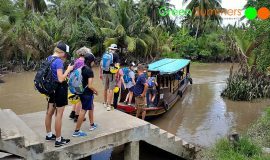 Our Vietnam School Tours Saigon City also arrive an orphanage where they care the children abandoned, handicapped, of no parents, or of victim of Agent Orange. The children there need not only food but love as well. We come, we play with them, we hug them, we feed them. We bring them extra care and love. We also donate some finance for the center to feed them. However, the time we spent for them is the most counted. In between the trips we have lunch at a local restaurant where we enjoy the best and the most typical food of Vietnam: Pho. We can have choices of beef, chicken and even vegetables. 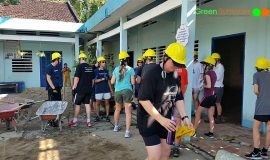 The Vietnam School Tours Saigon City has been run in a bit different way but is necessary to deliver messages to students about values of life. We believe that it’s the best way to run school tours for students.